Once again, as with Trader Horn last month, we’ve dug into the files for a few more spicy pre-code exploitation ideas. 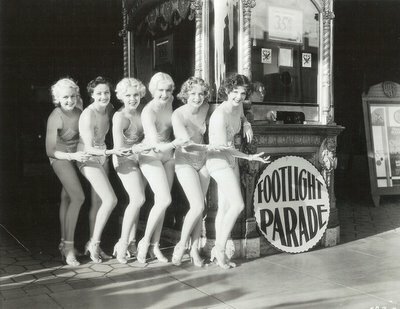 We particularly enjoy Warner’s unapologetic appeal to the baser emotions, as illustrated by these frisky chorines on display in an original Golddiggers Of 1933 ad, and those girls who are beckoning us to join them inside for a screening of Footlight Parade certainly do suggest that prosperity is just beyond the ticket counter. Note the NRA tags in the boxoffice window, and the thirty-five cent admission sign. This must have been a flagship house, as I don’t think they’d have gotten many customers for that kind of money in the sleepy little town where I grew up (of course, we wouldn’t have had half-naked beauties lined up on our local sidewalks either!). 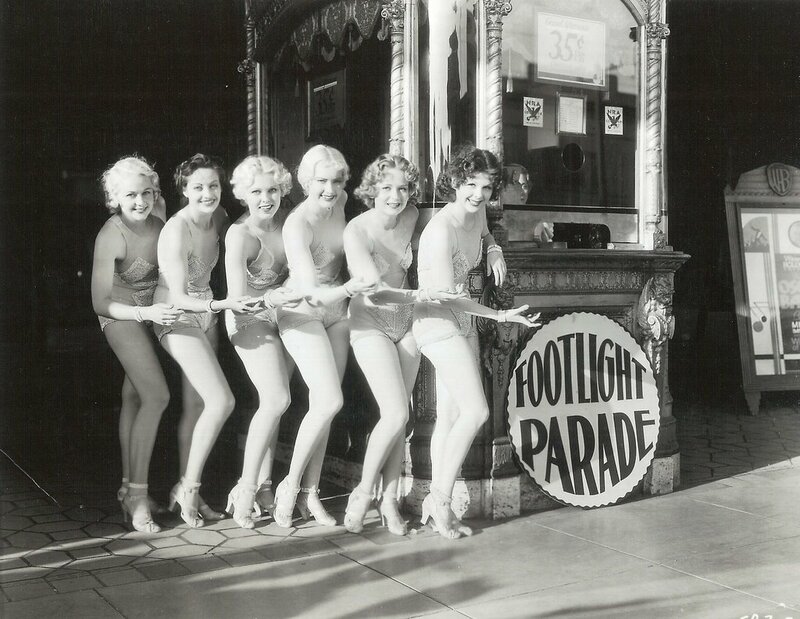 Ten-cent tickets were more our speed back here in the sticks, and we would have probably gotten Footlight Parade around the time these gals reached middle age. 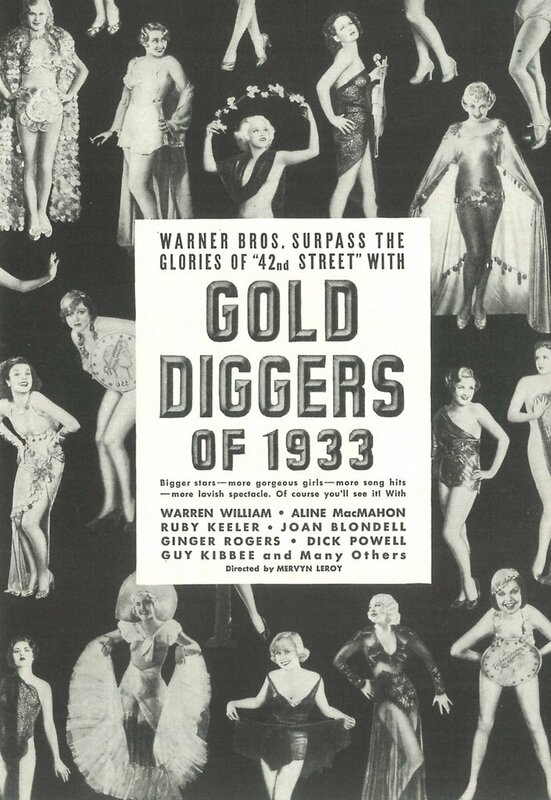 How about this trade ad for Warner’s 1932-33 season? That’s laying it on the line, and we love ‘em for it. Look at these socko titles --- Lawyer Man, Hard To Handle, Frisco Jenny, The Match King, Doctor X --- winners every one! Two years later, a promo like this would have been unthinkable. 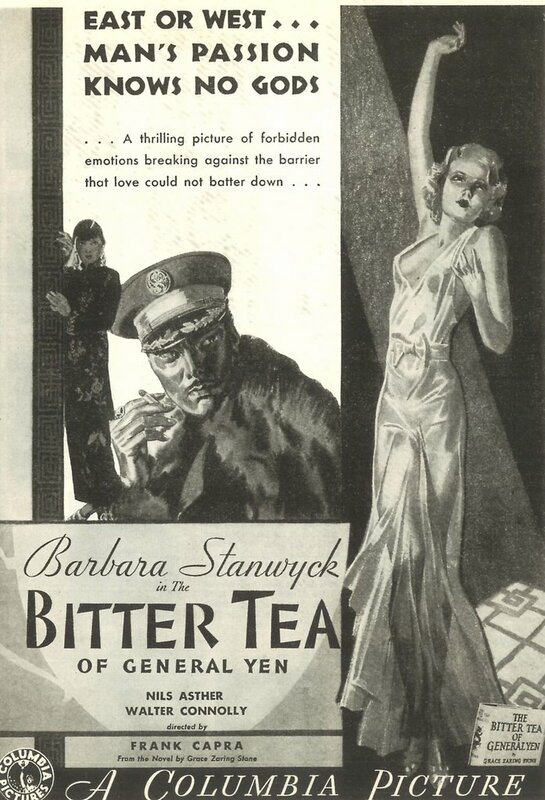 So would those movies, as the dark shadow of Code enforcement fell over the industry in mid-1934. Warners couldn’t even get permission to re-issue most of these hot potatoes. It would be 1956, and release to television, before they’d be seen again. 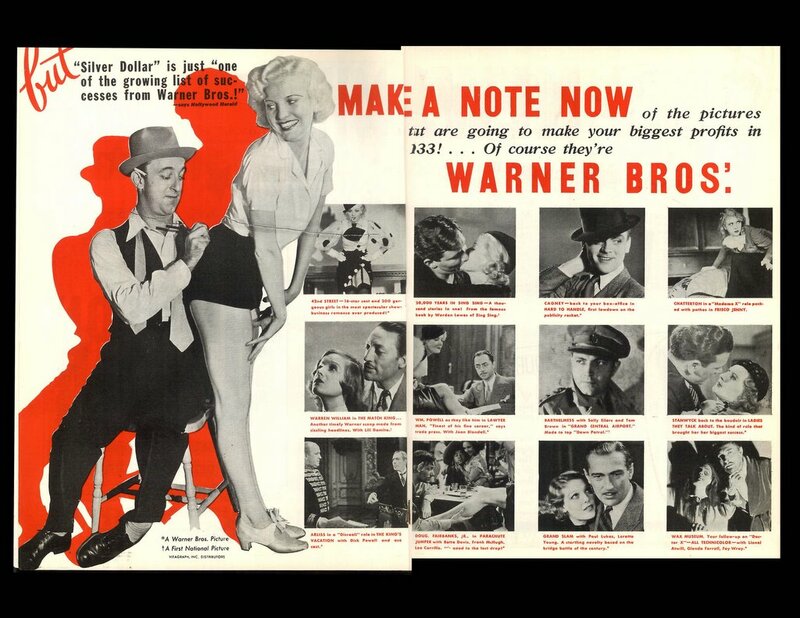 We were happy to read on DIGITAL BITS that WB intends to release a pre-code DVD box later this year. Bravo to that --- and now, Sony, let’s get busy with a stateside DVD of The Bitter Tea Of General Yen (check out the doll in this ad --- sure ain’t Stanwyck!). There’s a gorgeous Region 2 disc available from AMAZON UK, but you’ll need a multi-region player to look at it. Great movie, though.